Londi's Famous Roast Beef is located in Shaw's Plaza on Highland Avenue and specializes in roast beef sandwiches,pizza, calzones, salads, and full pasta dinners. Catering is also available. 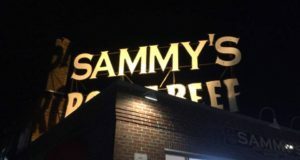 Sammy's Roast Beef is under new ownership and serves sandwiches and pizza. 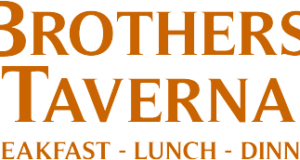 Their location has been serving roast beef sandwiches in Salem for more than forty years. Deli House is a popular lunch choice during the week whether picking up or getting delivery. Deli House also offers catering for all kinds of events. Engine House is located next to the Salem Fire Station giving it its name. A great location for late night weekend grub and they will deliver it to you. Vesuvius brings Italian options and more to Vinnin Square. Pizza, pasta, salads, wraps, and burgers all made fresh to order for you and delivery too. Try the new guy in town we're sure you'll go back again, and again. Essex NY Pizza, located in the Museum Place Mall offers great Sicilian style pies and lots of fresh sandwiches. Let this little spot by SSU will surprise and amaze you with the variety of it's menu and the freshness of their food. Pizza for sure but the burgers and the roast beef sandwich are worthy of your exploration at Omega Pizza.